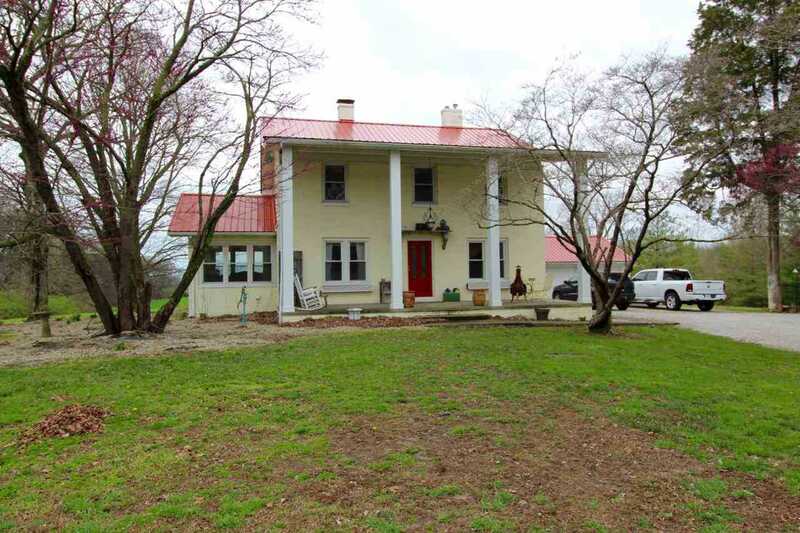 Traditional 2 story home located on over 4 acres with country views and a historic barn. Main floor offers spacious living room, den/office, open sunroom & formal dining room, all with original hardwood flooring. Kitchen offers a lot of cabinet storage, stainless steel appliances and a breakfast nook. Upstairs offers a 31' long master bedroom, 2 additional bedroom and an updated full bathroom. Home has replacement windows throughout and a new metal roof (2014). Basement offers lots of storage space. Home is heated by a gas furnace but also has an alternative heating source, woodburning stove, which is currently used. Outside you'll find a 2 Car Detached Garage, Two patio areas & above ground pool. Spectrum Cable TV & Internet are available. SchoolsClick map icons below to view information for schools near 2567 E SR 64 Princeton, IN 47670.